Major parties BJP and Congress have already rolled out their campaigns to woo voters in the state where polling will be held on April 11, 18 and 23. 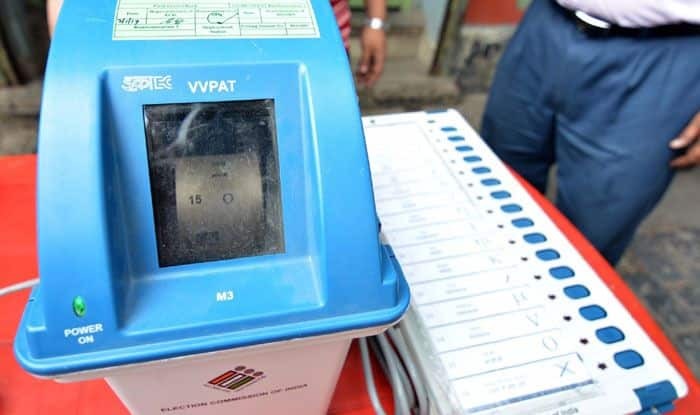 The stage is set for three-phase Lok Sabha polls in Chhattisgarh where 166 candidates are in the fray for total 11 seats. Major parties BJP and Congress have already rolled out their campaigns to woo voters in the state where polling will be held on April 11, 18 and 23. The deadline for withdrawal of nomination papers for the third phase of polls ended on Monday. Total 149 candidates filed their nominations for the third phase, and papers of 138 of them were found valid after scrutiny, an official at the election office here said on Tuesday. Of these 138 candidates, 15 withdrew their nominations on Monday, leaving 123 in poll pray for the third phase where elections will be held in seven constituencies, he said. In the first phase, voting will be held only in Naxal-hit Bastar (ST) Lok Sabha seat where seven candidates are in the poll race. In the second phase, 36 candidates will battle it out in three seats – Mahasamund, Kanker(ST) and Rajnandgaon. In the third phase, Raipur and Bilaspur seats have the maximum 25 candidates each, followed by Durg-21, Jangir-Champa (SC)-15 Raigarh(ST)-14, Korba-13 and Surguja(ST)-10. There are 1,89,16,285 voters in the state, including 94,77,113 men, 94,38,463 women and 709 of the third gender. Total 15,365 polling booths will be set up in the state for the polls.